The Hawk from Skymaster is now complete and for sale. 1x JetCat P140-RX, totaly new, zero hours. 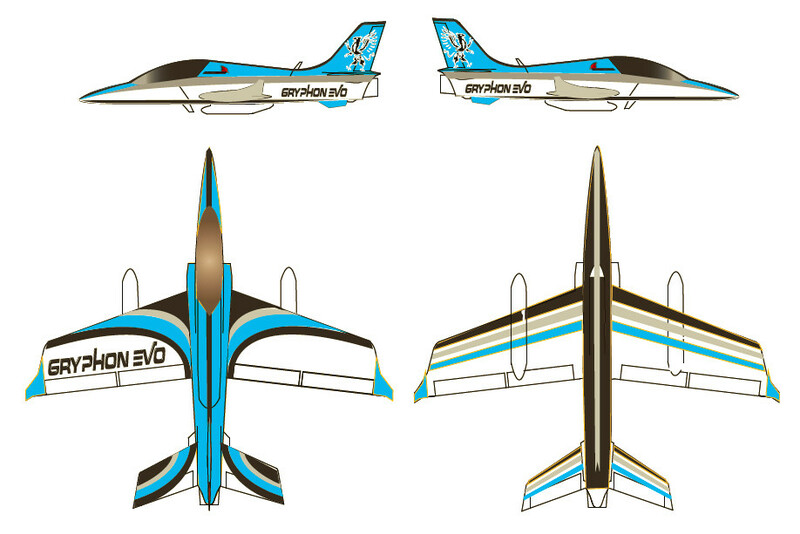 The model is never been flight, the price without the turbine is 35.000 Sek. The price for the JetCat P140-RX 2795 Euro, but I give you a offer price of 20.000 Sek. Introduction price of Redwings Gryphon Evo for the Scandinavia market: 2000€ ( ~18800 Sek ), instead of 2287€ (~21498 Sek). The model comes with the Exhaust tube, internal fuel tank, winglet and the external central fuel tank. ( ~18800:- Sek ), istället än 2287€ ( 21498:- Sek ). Modellen kommer med avgasrör, bränsle tank, winglet och extern central tank. Vill ni gärna ser det, då är det bara att mejla eller ringa, annars kommer den att visas på Tullinge jet flyg den 15/8.